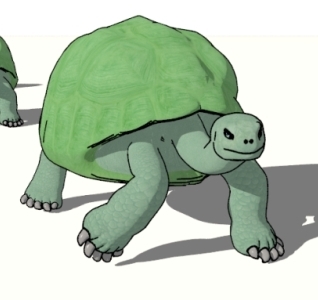 The interesting thing about these is that they are computer rendered 3D models (in POV-Ray), not created in 2D drawing programs such as photoshop or Inkscape. Am surprised to learn, that this is not possible with POV-Ray (See: Intro to POV-Ray) Instead, you have to use a special add-on software. 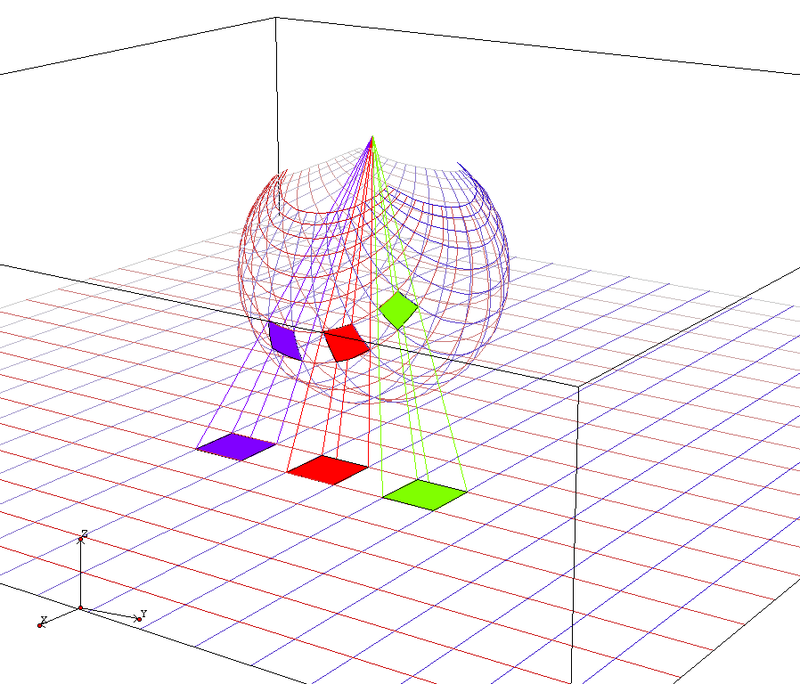 Here's a example of illustration of so-called “stereographic projection”. 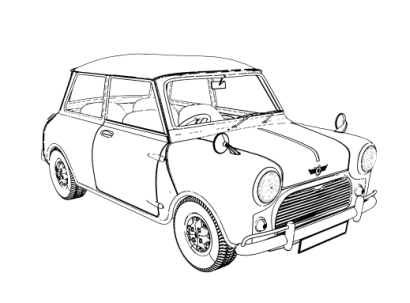 It is rendered in a wireframe mode. Note, a desired rendering, is to actually hide the meshes behind the sphere. It's somewhat surprising that POV-Ray can't do it, thinking about all the trouble it went thru with ray-tracing. If you think about it, it does make sense, because the essence of illustration-style drawing is a parallel projection from the camera, but realistic 3D rendering is about tracing every light ray to render every point on the object. However, i think the 2 issues are still quite related and is not something totally separate. I think the fact POV-Ray cannot do it is just a particular historical or idiosyncratic reason. Because, for example, when rendering in POV-Ray or any 3D modeler, you have to have algorithms that hide invisible parts. (that is, you shouldn't see what's behind a box) The hiding invisible object algorithm is part of the parallel projection from the camera, same with rendering in outline mode. 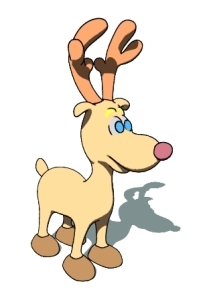 A screenshot of a character in Second Life (outline renedering in real time). 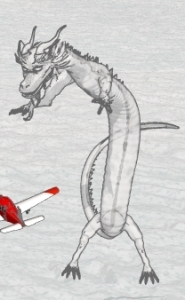 Note that Second Life (a virtual world 3D “game” application), is capable of outline rendering, in real time. See: Toons in Second Life.